What is Bing Redirect Virus? If you have Bing Redirect Virus on your personal computer, you might experience various difficulties while browsing. If you already use bing.com search engine, you can get redirected to various sites that might be dangerous to visit. If you use another search provider, you can get constantly redirected to Bing results. The redirects can be totally unrelated to your search queries. Our security team recommends to remove Bing Redirect Virus and not to stay on the websites that you are redirected to: the virus can cause many problems to the system of your PC. Bing Redirect can attack you no matter what browser you are currently using. It is compatible with Mozilla Firefox, Google Chrome, and Internet Explorer, so no user can feel safe. The bad news is that if you do not erase Bing Redirect Virus immediately, your PC might start working a lot worse than before. Why is Bing Redirect Virus considered dangerous? Whether you use bing.com or not, the redirects can bother you a lot. They are completely unrelated to what you are browsing for. You can end up on a gaming, dating, or shopping page that is full of ads. The ads are known to be extremely dangerous if they are displayed by unofficial sources. Do you know what kinds of threats can come onto the PC if you click a corrupted advertisement? Firstly, various types of malware, Trojans, ransomware, or rogue security applications can attack your PC. As a result, the computer becomes slower. It may become so slow that it is outright impossible to work normally. For example, your personal computer can suddenly shut down thus losing all your progress of your work. But the redirecting is not the main thing that should bother you. There is one fact that you should know about Bing Redirect Virus: it can be not a virus itself, but merely a symptom of another infection. For example, a malicious Trojan can be responsible for the redirects to bing.com. In this case, you can uninstall Bing Redirect Virus only if you get rid of its source. It is extremely dangerous to keep Trojan horses or similar threats on the PC because the condition of your system can get worse and worse with time. Delete Bing Redirect Virus with all the associated dangers with a good security application. 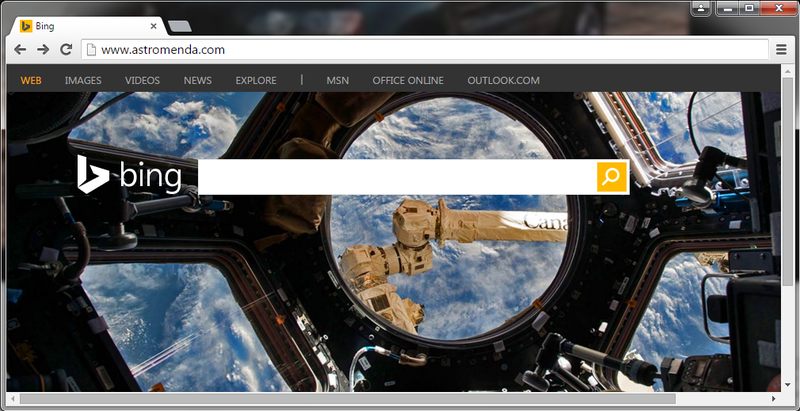 How did Bing Redirect Virus infect my PC? How to remove Bing Redirect Virus from my personal computer? Because of the fact that you do not really know the source of the infection, it is a must to scan your computer system with a reliable malware and spyware removal tool WiperSoft. It will detect the threat and remove it. It is really convenient to have such a security tool because it will not let malware usurp your PC system anymore. As you can see, automatic Bing Redirect Virus removal should not be a difficult process.